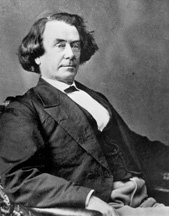 FOWLER, Joseph Smith, a Senator from Tennessee; born in Steubenville, Jefferson County, Ohio, August 31, 1820; attended the common schools and Grove Academy, Steubenville, Ohio; graduated from Franklin College, New Athens, Ohio, in 1843; taught school in Shelby County, Ky., in 1844; professor of mathematics at Franklin College, Davidson County, Tenn., 1845-1849; studied law in Bowling Green, Ky.; admitted to the bar and practiced in Tennessee until 1861; president of Howard Female College, Gallatin, Tenn., 1856-1861; comptroller of Tennessee 1862-1865; active in the reconstruction of the State government; upon the readmission of the State of Tennessee to representation was elected as a Unionist to the United States Senate and served from July 24, 1866, to March 3, 1871; was not a candidate for reelection; chairman, Committee on Engrossed Bills (Fortieth Congress); engaged in the practice of law in Washington, D.C., until his death there on April 1, 1902; interment in Lexington Cemetery, Lexington, Ky.
American National Biography; Dictionary of American Biography; Durham, Walter. How Say You, Senator Fowler? Tennessee History Quarterly 42 (Spring 1983): 39-57; Roske, Ralph J. The Seven Martyrs? American Historical Review 64 (January 1959): 332-30.